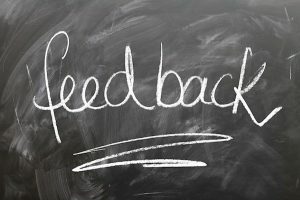 How to Handle Getting Feedback | Transformation Point, Inc.
Part one of my two-part post on giving and getting feedback covered how to effectively provide feedback to your staff. But what about when the review shoe is on the other foot? How can you make sure that you are ready to receive the comments and critiques that are coming your way? You might think you are prepared. After all, you’ve told your team you want honest comments and perspective so strategies can be improved and processes can be more effective. You’ve told your boss you are open to advice on how you can be more effective in your role at the company. You’ve told your co-workers that you would welcome any ideas they have on how you can function more productively. You have said all that, but when they take you at your word and the negative comments and criticisms come flying at you from all angles, is your first reaction to respond defensively? 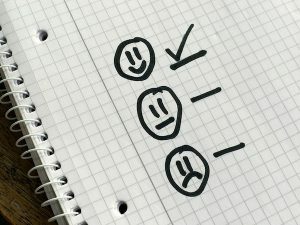 Here are some suggestions for how to effectively handle the feedback process. What exactly did you do wrong or fail to do at all? What were the expectations you didn’t meet? Is this a performance, attitude or communication issue? What needs to change to address the problem? Make it clear that the better you understand where you missed the mark, the easier it will be for you to get a bullseye next time. 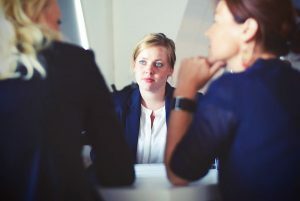 If you suspect that, rightly or wrongly, your people are afraid to do anything more than praise your decisions and performance, even to an internal feedback coach, consider bringing in an outside consultant to serve as the middleman. As a neutral third party, the consultant meets with the staff to discuss the issues, reviews them with you, and then can help formulate a way not only to fix the problems but also address the underlying distrust issue. Schedule either a one-on-one or a group session. One-on-one is preferred when it’s your boss or co-workers giving you feedback. But when you want input from your staff, a group sit-down is a good way to elicit input. Make it an informal and friendly setting: for example, buy your team lunch and sit around the table, chatting while eating. Open the floor by saying that you believe there are ways the company can be improved and you know that it starts at the top. Stress that you want this to be an opportunity for everyone to offer ideas on how to make things better as well as identify roadblocks that are slowing things down. You can even suggest something that you have identified (in your own process, not theirs—this isn’t their feedback time, but yours) that could be an issue and how you plan to fix it. Start by taking in what you’re hearing, writing it down rather than relying on your memory. Then, process it objectively, identifying what you have been told against your own interpretations of the issues or behaviors. Then reflect: is this the first time that problem has cropped up or have others, either inside the company or outside, said something similar? It may be a pattern — interrupting people or taking over — that is so ingrained that you aren’t aware of it. But now that you have reflected, you can start paying attention to it — the first step to making a change. Once you’ve determined what needs to change, it’s time for a game plan. This may be procedural — altering processes that are more a hindrance than a help — or personal — controlling those responses or behaviors that are causing problems for the rest of your people. If it’s a process-oriented change you’re making, get feedback from those involved as to how to implement it. And once it’s deemed road-worthy, so to speak, acknowledge those who have provided the suggestions or recommendations. This will encourage others to offer their own ideas.